I am experiencing the same problem. I read all the thread and follow the instructions, however in my case, while I was creating forms and testing them, i set them as HTTPs. Since the counter was hitting I reached my limit and now i have no way out. I have only two form embedded in my website and they are not using SSL and for other two i send the link in email and ask people to fill. None of my forms are using SSL, i double checked them. Please help me out in this situation and if possible reset the counter for me as i was not aware of it. I checked your account/username and noted that indeed it had already exceeded the SSL submission limits. So, the account is now in Overlimit status which causes all the forms under the account to be disabled. while I was creating forms and testing them, i set them as HTTPs. If the submissions still become SSL even if you did not set/used HTTPS, then there must be a glitch somewhere. BUT so far I could not determine where it could be. Our form will certainly not use HTTPS or accumulate SSL submissions if you have set it to only use HTTP. However, I instead set the current SSL to 8 with at least 2 SSL submission to spare and I reinstated the account and removed the Overlimit status. You can check your forms are now enabled. Please contact us immediately if the anomaly persist and if you still used SSL submission even if you have not used secure forms. Thankyou my friend I really appreciate your help, as i said i have removed ssl from all my forms and i am not sure what is going wrong, I have only 2 forms embedded in my website and other 2 are used in email. I double check again and non of my form is using HTTPS. For me i dont want any of my form to use SSL/HTTPs. Can you help me what i should really do here. Last Question on this note, I am trying to understand why my account hit ssl hit its counter. Is it because in my testing i set the form HTTPS. Is there anyway if i can reset it. 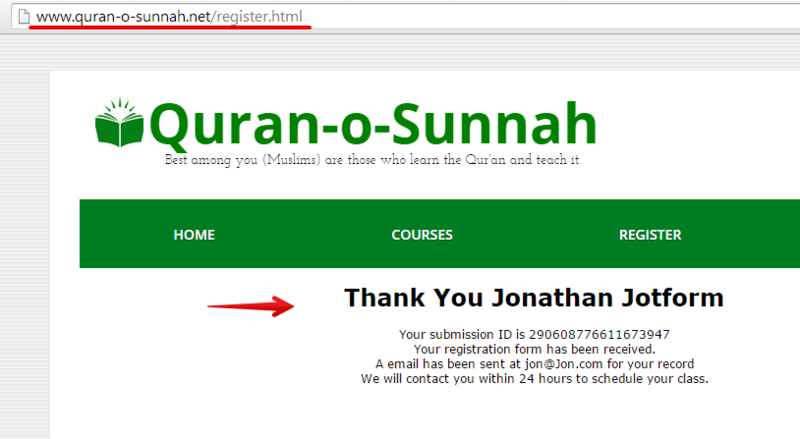 The only way for the SSL to increment if the URL is manually change to https and then submit the form. OR if the form is embedded on a secure website, the website will force the submission to use secure URL, thus resulting to SSL submission. Yes, I did check my forms, too. as i mention earlier, i think i hit the counter while i was testing the forms. with your last statement, I was able to finally understand why you are accumulating SSL submissions. If you test using HTTPS, then it will certainly count for SSL submissions. You should be aware of that by now. You cannot manually reset your SSL submission counts. Only us from the support are allowed to do that. Oh, Do I have any "favor room" to get it reset. Also One more information, I am designing another form, where i will requesting bank information, can i make form secure and not using https/ssl. My colleague has already lowered your SSL count just so that you have a functioning account. Please notate that there is no favor room in regards to the submissions and that if you would like to do tests with secure submissions, you should consider upgrading your account first ( http://www.jotform.com/pricing ). 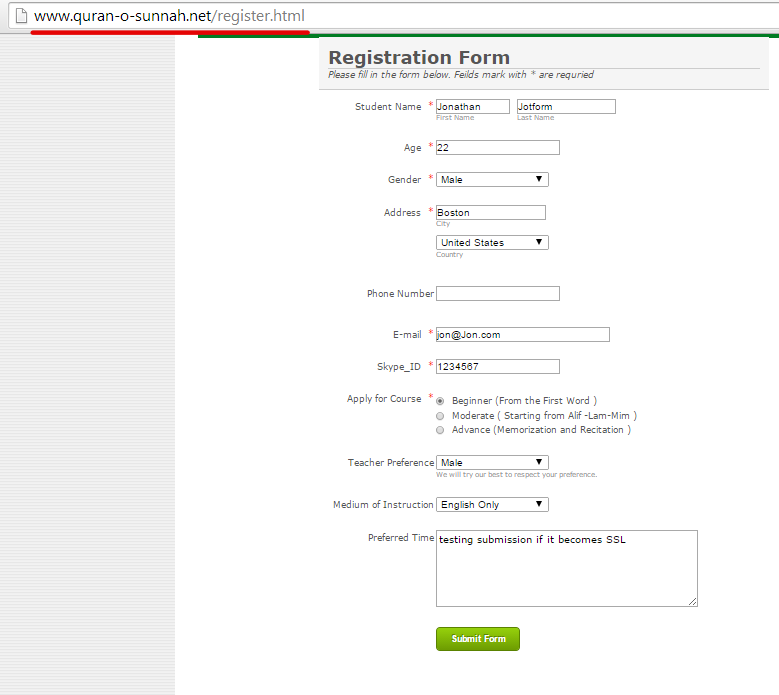 I am designing another form, where i will requesting bank information, can i make form secure and not using https/ssl. Your account would still be limited by the paid submissions count (also 10 as SSL submissions), even if it is not over HTTPS and there is no way of making forms secure, without using our SSL submissions.